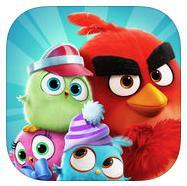 Rovio Entertainment, the creators of Angry Birds, put out 2 great mobile game apps within that franchise this year. 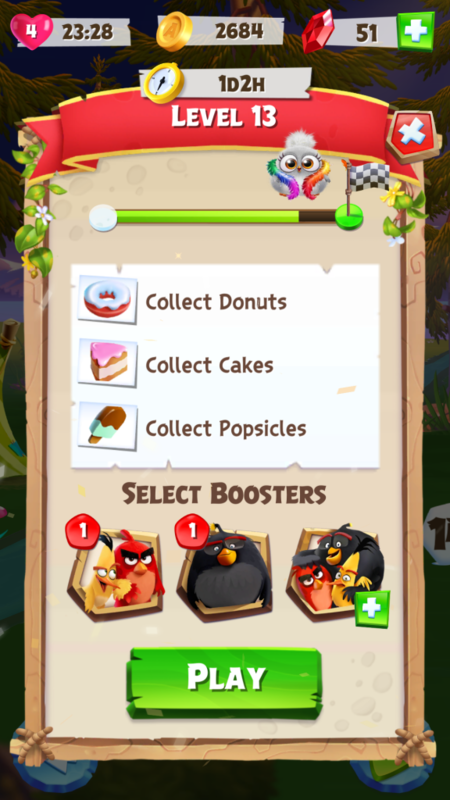 Angry Birds Evolution, and Angry Birds Match, are both super adorable and incredibly addictive. 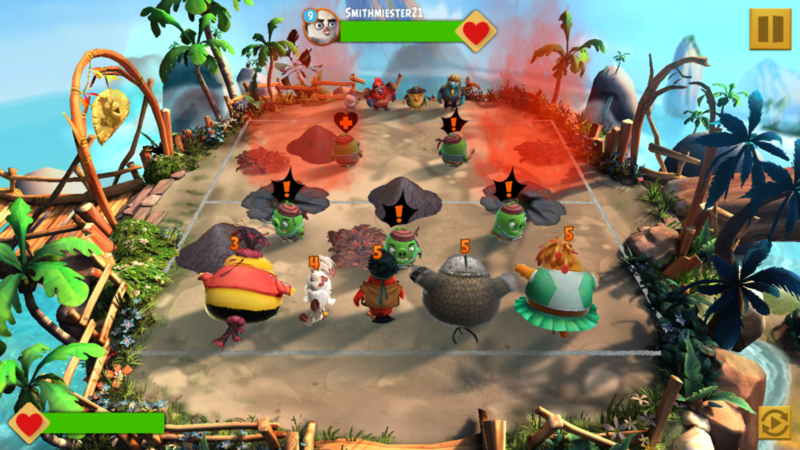 Angry Birds Evolution combines the classic Angry Birds physics mechanics along with turn based, arena style combat. 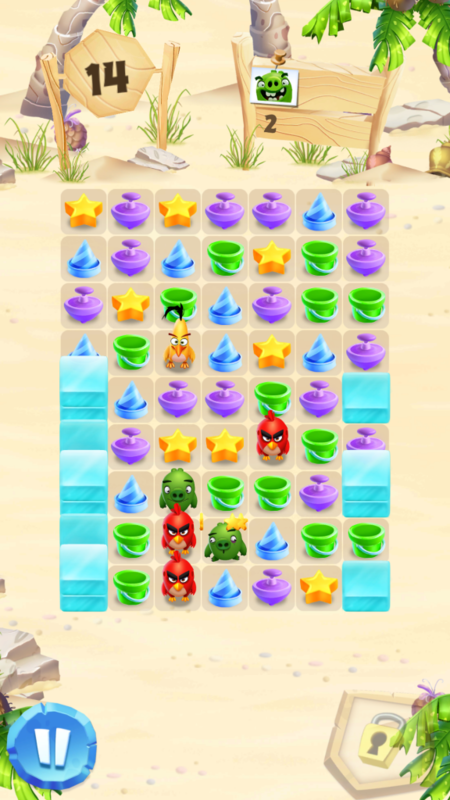 Angry Birds Match is, as the title implies, a match-3 style puzzle game, with a tie in to the recent movie with the very cute Hatchlings. Both games have bright, colorful, smooth graphics, are easy to learn, and are so enjoyable they’ll keep you coming back for more, hour after hour. Let’s take a closer look. Angry Birds Evolution was released in June, and has gained around 10 million players across Android and iOS in just a few short months. This is an easy game to get hooked on, as there is so much to do while playing. 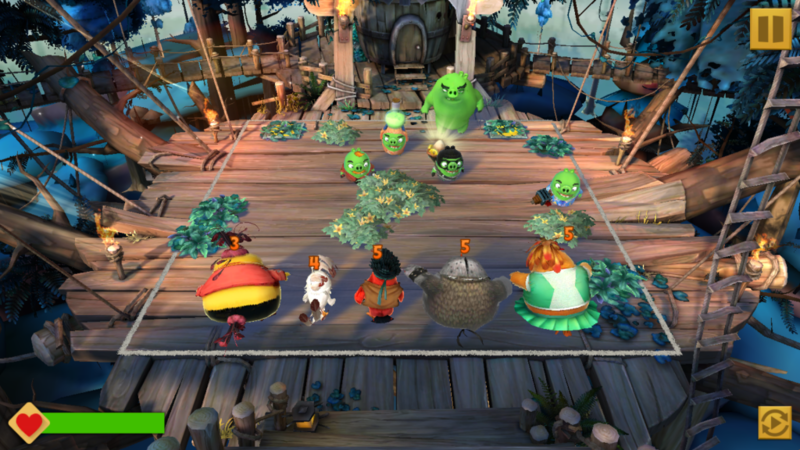 At the center of play is building a team of Angry Birds, each with different personalities and battle traits, to fight the Bad Piggies and retake territory on your Bird Island map. As you win more battles, you gain XP, Gold, Gems, and the all-important Eggs. 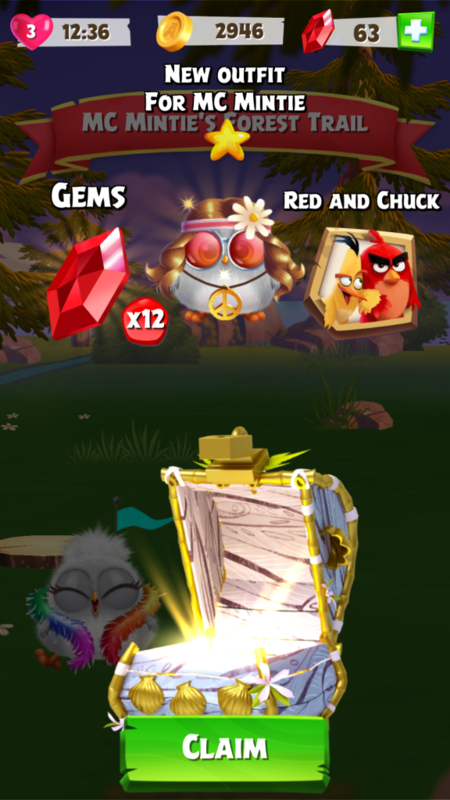 Each Egg gets hatched to reveal another Angry Bird that can be added to your team, sold for resources, or merged with another stronger Bird to level it up. 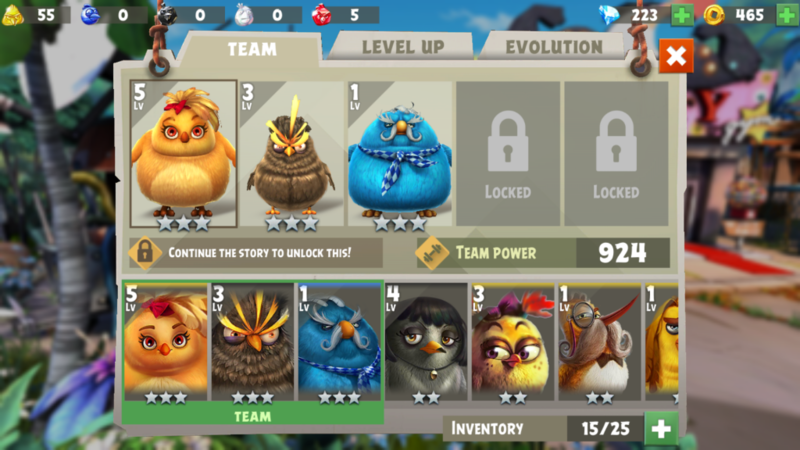 As you level up your Birds, they’ll become more powerful in battle, and at certain levels, you’ll get the option to evolve them, which will significantly increase their battle power, in addition to giving them a cool new, tougher look. 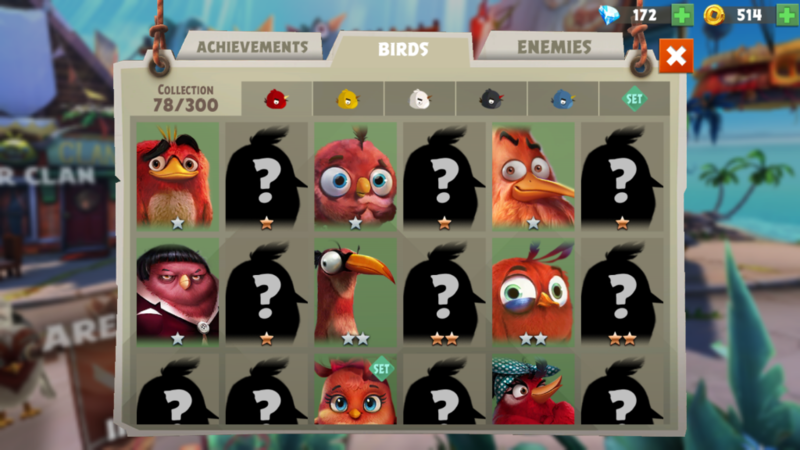 You can switch Birds in and out of your team as new ones become more powerful, or to get bonuses in certain areas of the map. 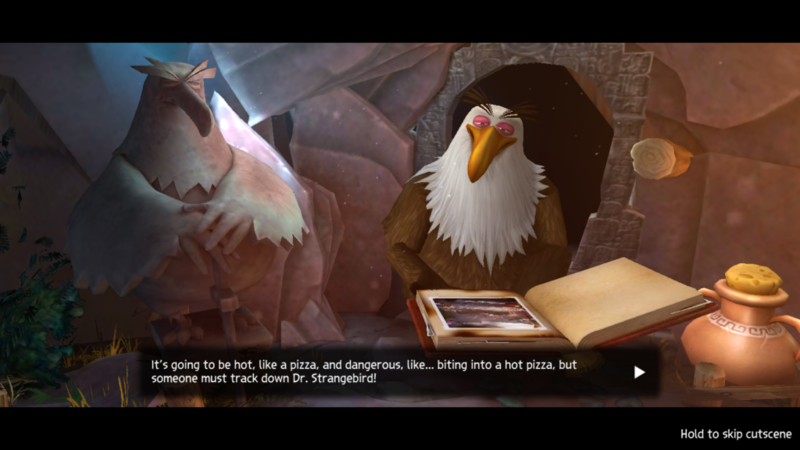 There are so many different Birds to collect, each with a fun little personal Bio to read, and as you discover each new Bird, even if you sell of merge them, they’ll be added to your collection book so you can enjoy reading about, and looking at them, whenever you want. The battles come in a variety of types, like single wave, 3-wave, and PvP. The single wave and 3-wave types consist of your team of Birds, which will reach up to 5 members as you advance, battling it out against a team of Pigs. One at a time, you choose a Bird to aim and “shoot” at the pigs, each hit causing damage to the Pigs and hopefully removing them from the battlefield. The Pigs get their turn too, and will launch themselves at your team, inflicting damage in return. Each Bird has its own set of advantages, and one of those is the Super Shot. Based on the color of the Bird, as well as their individual aspects, this Super Shot can do things like push a Pig backwards, explode in a circle around a Pig, leap over obstacles, or spin in a whirlwind that draws Pigs closer, all while inflicting a lot of damage. These Super Shots are only available every few turns, so planning ahead is the key. The other type of battle is the PvP arena style, where you’re using your Birds to shove Pigs around a “Pigball” court, across the line in the center, in hopes of defeating another real-life player’s team of Birds. At the end of each turn, the number of Pigs on each side of the line attacks the team whose side of the court they’re standing on. This style of battle earns you special resources that aren’t offered in the regular battles, and boosts your PvP ranking for even more rewards. As you battle Pigs, you’ll advance along the map into different areas, and advance in the story as well. I won’t reveal too much about the story, since part of the fun is to read each chapter as you play. All I will say is that your mission is to help rescue some pretty special Birds from the clutches of some pretty mischievous Pigs. If you don’t care about the story, you can skip these sequences and go straight to the next battle, but I think it adds some purpose to your play, and cleverly spurns you into playing more often. 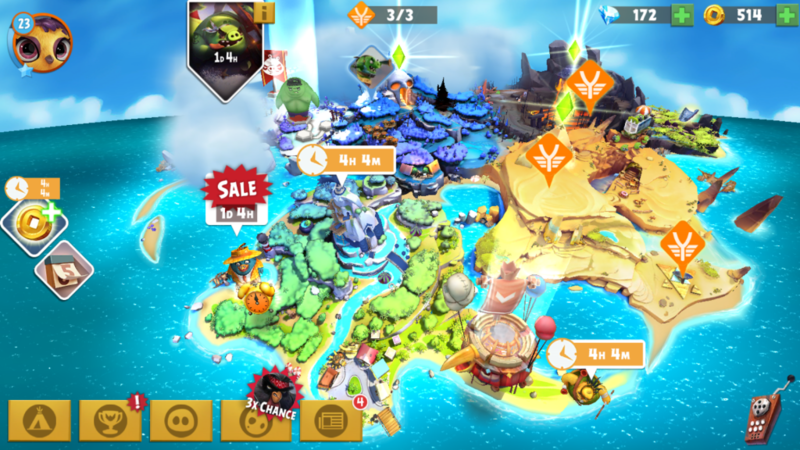 In addition to the main story, there’s weekly events to play as well, where you battle a specific kind of special Pig, like aliens or pirates, to kick them off Bird Island and gain special rewards. 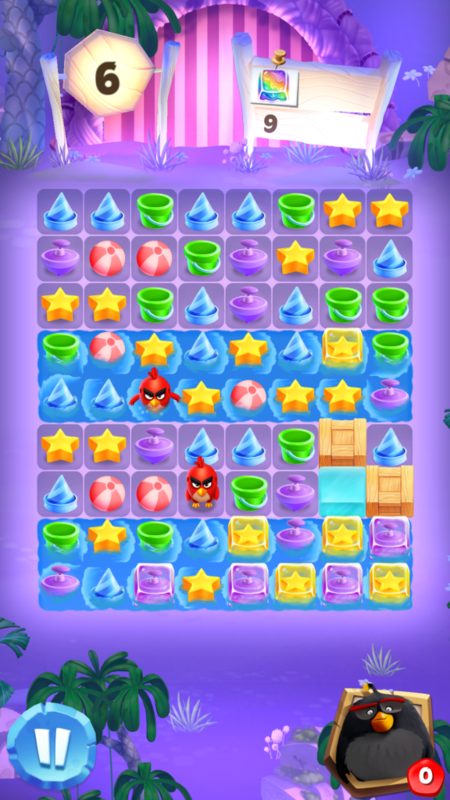 Now, Angry Birds Match, which just came out at the end of August, is a much simpler game, but no less addictive. 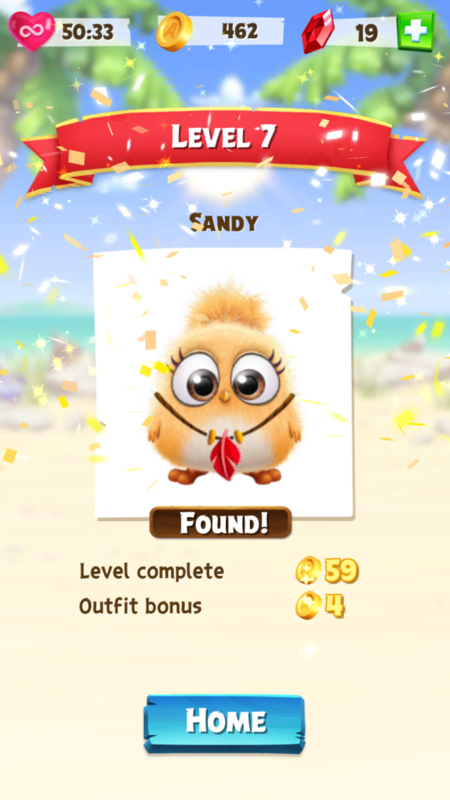 You work your way through level after level of toy and treat matching fun, earning Gold, Power-Ups, and the cutest little Hatchlings to welcome to your collection. There’s really no story to follow in this game, just the joy of unlocking a flock of the most adorable little fuzz balls to ever chirp their way across your screen. 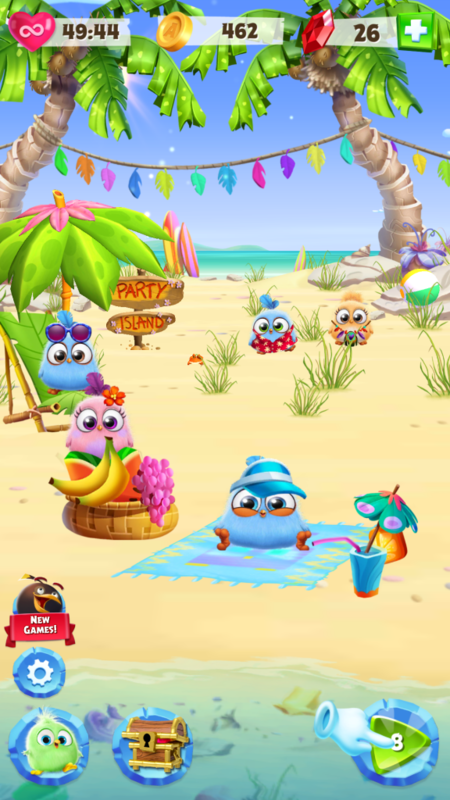 You’ll welcome 6 different Hatchlings for every play area, which include a beach scene, a disco party, a fantasy picnic, and many more. These environments contain items you can interact with too, themed to the area, like a beach ball, food baskets, or a toy unicorn. There’s really no point to these items except to let you play with your Hatchlings a little. 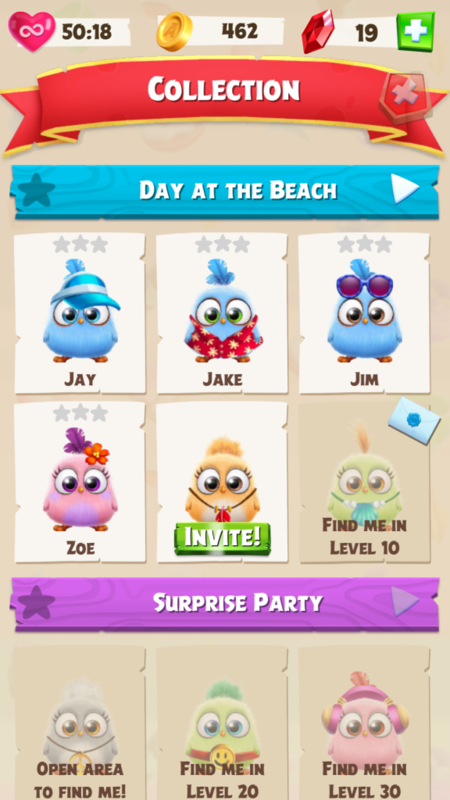 Each of these little cuties also has 6 different outfits you can earn and dress them up in whenever you wish. Instead of playing for points or resources, the goal of each level is to meet a certain requirement in order to pass and move on to the next level. For instance, you may be asked to “pop” a number of Pigs, to free bunch of rubber duckies from cages, or eliminate all the mud from the game board. These goals can be achieved either from making matches on or next to the targets, or by using special Bird Power-Ups. These Power-Ups are 3 different types of Birds, Red, Yellow, and Black, all with their own special moves. The Red Bird (named Red), who is earned by making a match of 4 items in a row, launches himself in one straight line, knocking through toys, treats, duckies, Pigs, mud, and all other obstacles in his path. The Yellow Bird (Chuck), who is earned by matching 5 items in an L shape, launches himself in 2 straight lines, perpendicular to each other. The Black Bird (Bomb) goes in one straight line, but his line is 3 rows or columns across, making him the strongest, but also the most difficult Power-Up to come by, earned by matching 5 items in a single line. 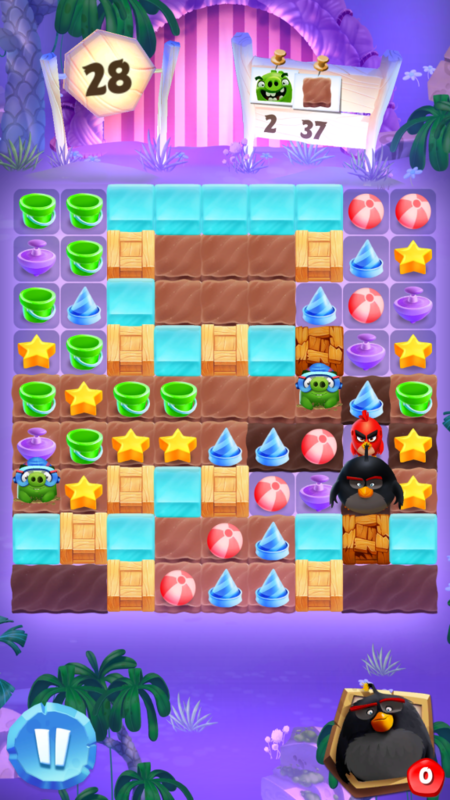 Some levels can only be completed by using Birds, so planning in these levels is absolutely necessary. In addition to these regular levels, where you’ll earn Gold, Power-Ups, and unlock Hatchlings, every couple days you’ll be able to play the Event challenges. Within a certain time frame, you’ll need to meet the challenge in order to unlock a really special reward Chest, containing elaborate news outfits, only available in Chests. There are several different Event types. 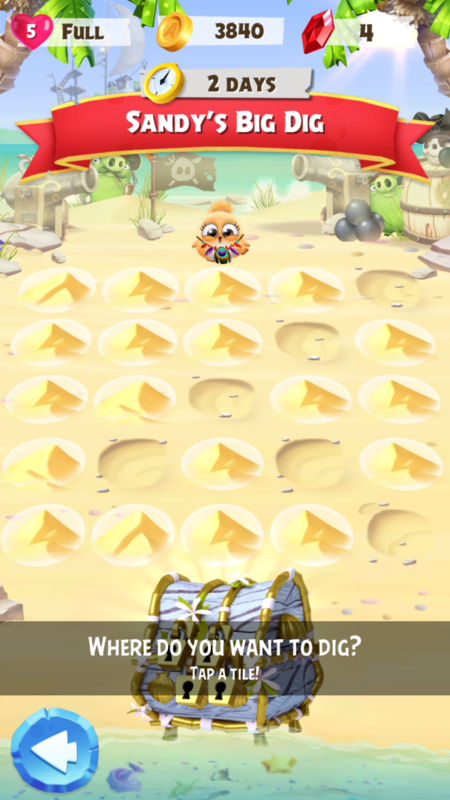 You may have to find 5 keys hidden among 20 piles of sand, in order to unlock the Chest. You can choose 1 spot to dig after every level you beat. In another Event, you might have to make it through 5 increasingly difficult levels, without losing once, in order to unlock a Chest. Or, you might have to make your way down a path of 15 steps, each representing a level, in order to reach the Chest at the end. These Events can be pretty tricky to master, but the reward at the end is worth the effort. Both of these apps, different though they are, illustrate the genius behind a successful mobile gaming company. They’re easy to pick up and start playing, they have a hook to draw players in, and they have a replayability that keeps them coming back time after time. Whether it’s the battle-ready super squad of Angry Birds Evolution, or the adorable, big-eyed baby Hatchlings of Angry Birds Match, these characters will capture your attention and hold it tight. Seriously, I’ve spent more enjoyable hours in the last couple weeks with Angry Birds than I ever expected. But don’t take my word for it, go download both of these free games for yourself, and delight in your new favorite past time. 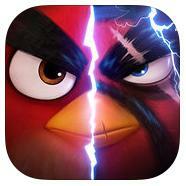 Click here to get Angry Birds Evolution for Android or here to get Angry Birds Evolution for iOS. Click here to get Angry Birds Match for Android or here to get Angry Birds Match for iOS.